Great family home in a quiet west end neighbourhood. Very bright and inviting with 3 bedrooms and 2 bathrooms, huge family room and living room. 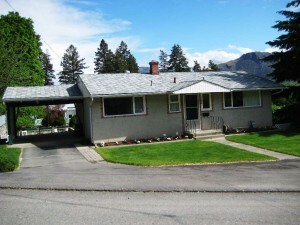 This home has been kept immaculate and is very well maintained. There are in ground sprinklers, a detached shop that is wired and a single car carport. Large private yard with flower beds and room for your veggie garden. Lots of parking and room for an RV or your toys. Day before notice appreciated.